Hey Guys! It seems like forever ago since I last posted an Outfit Post. But don’t you worry, I’m getting back on track! This turtle neck is slightly different; the back detailing is a shirt, so it incorporates a look of a knit and shirt combined together, which gives this outfit a totally different look from the back. A Fedora and knee high boots has also been on my radar recently; these chilly days has made me dig up all sorts of things from my closet, but how can anyone go wrong with a simple knee high and knit? 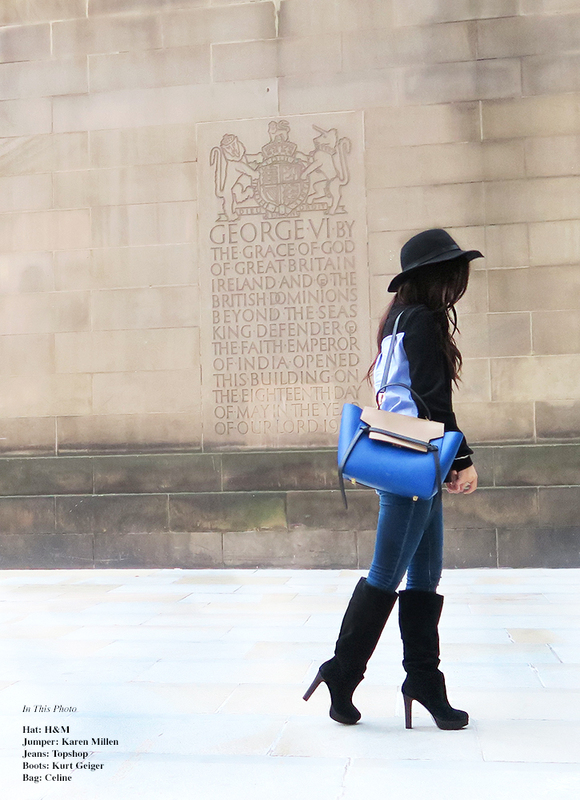 I seriously didn’t mean to colour coordinate my outfit; I thought going for a all black outfit was a little excessive for this look especially with the hat, so I opted for my favourite pair of blue skinny jeans (then I realised I was all blue and black). 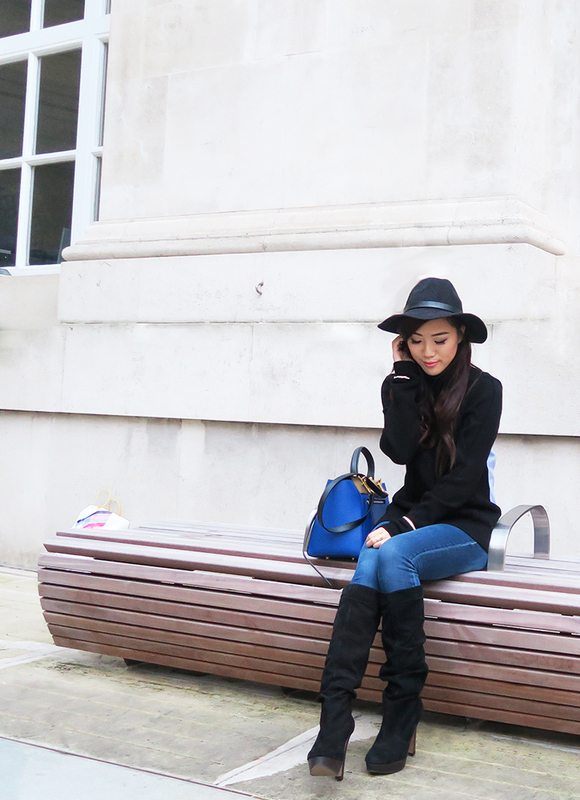 I hoped you guys enjoyed this new outfit post for a nice chilly Autumn day! I used to have a hard time styling my Fedora hat however, I’m slowly getting used to wearing it and because it’s getting colder, it’s a nice little touch to add to my looks; this has definitely become an favourite of mine for Autumn! What’s your Autumn Must Have? Love this outfit, you look so cozy and chic.